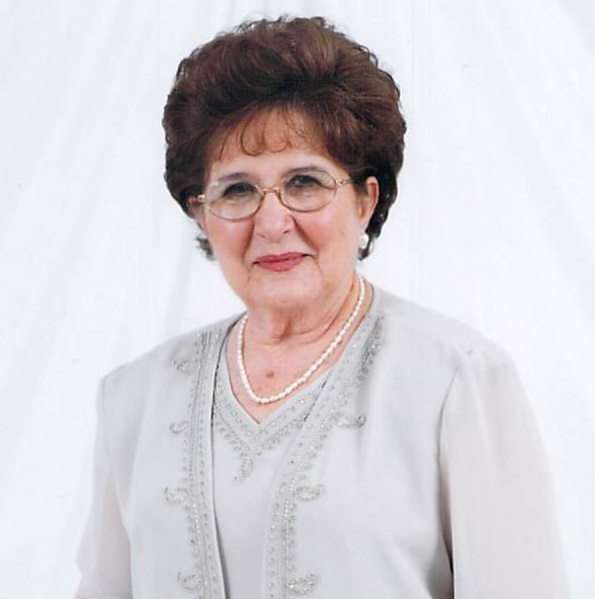 McAllen – Alicia L. Saenz, age 90, passed away peacefully with family by her side on Wednesday, January 23, 2019 in McAllen, Texas after a courageous battle with stage 4 peritoneal cancer. She was born on October 20, 1928 in Rio Grande City, Texas, the daughter of Reyes and Amada Lopez. She is preceded in death by her parents; her husband, Alfredo Saenz, Sr., her sister Ida Gomez and brother Ruben Lopez. Alicia and Alfredo were married in Santa Elena, Texas in 1952 and were married for 60 years. She worked in McAllen ISD for almost 30 years. Family and friends were Alicia’s love and joy. She loved to cook and bake for her family and enjoyed making quilts for her grandchildren. Alicia’s strong will to live, unwavering faith in God and the love and prayers of family and friends carried her through months of debilitating chemotherapy. Alicia is survived by her daughters Nidia Parra (Rick), Norma Braun (Jude), Nora Campbell (Will). Also mourning her loss are sons Alfredo Saenz, Jr. (Ana) and Javier Saenz (Mary); Sisters: Andrea Morales and Zulema Medrano; Brothers: Rey Lopez and Romeo Lopez; As well as 11 grandchildren: Cristina Wilson and Aaron Parra, Nicholas and Andrew Braun, Stephen, Melissa and Robert Saenz, Tommy and Xavier Saenz, Madeleine and Ben Campbell and one great-grandchild, Caleb Wilson. Alicia’s family is indebted to her relatives and friends for their compassion, love and kindness during her time of illness. Alicia’s nieces (by marriage) helped her through so many difficult times. The family extends much appreciation for their loving involvement and support. Heartfelt thanks go out to Pilar Morales who was Alicia’s caregiver and companion for many years. Alicia will be remembered as a loving and exceptionally strong woman, the matriarch of her family. She will be missed beyond measure.